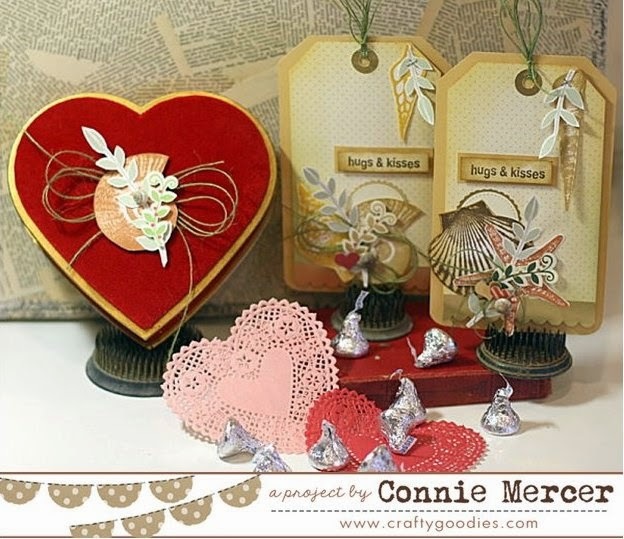 crafty goodies: Valentine Seashells with Darkroom Door and S.e.i. Valentine Seashells with Darkroom Door and S.e.i. I used stickers and pattern paper from S.e.i. ~ love the gold papers for this! Also used Carved Leaves and All Occasions by Darkroom Door. I added three little real Seashells!! Ohhhhhhh these are gorgeous! LOVING the shells!!!!!!!!!!! Beautiful tags and heart. Would never have known that was Christmas paper is you didn't tell. Love it. wow wee those tags are gorgeous.. awesome designing..
Only Green~ Bella Blvd. Spring Collection! Try It Tuesday~ A meaningful Flower Box! Baby Mixable mini album by Clear Scraps! Craft Crossing goodies~Authentique and more! Starbucks Bottle and Bella Blvd~ Pinwheel Treat! A Clipboard being a Clipboard by Clear Scraps! 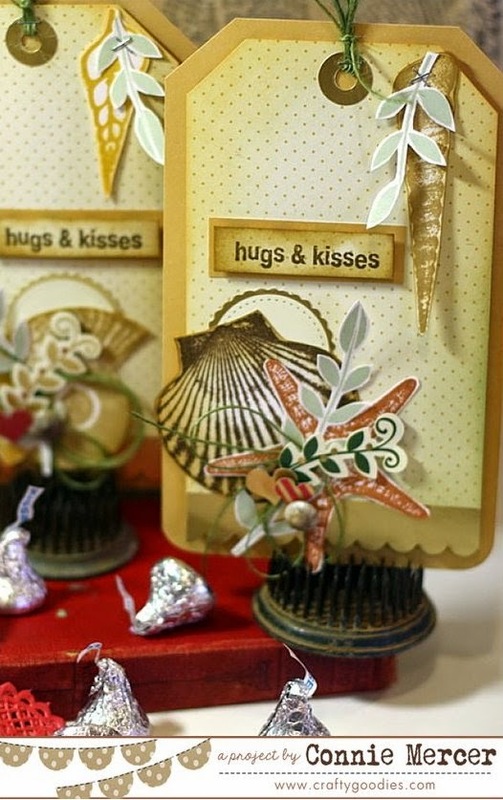 Try It Tuesday~ Seashells with a vintage twist! The Curtsey Boutique is opened for business! !